Marzie and Bubbles were created for a swap with the Art For the Creative Mind Mixed Media Yahoo Group. 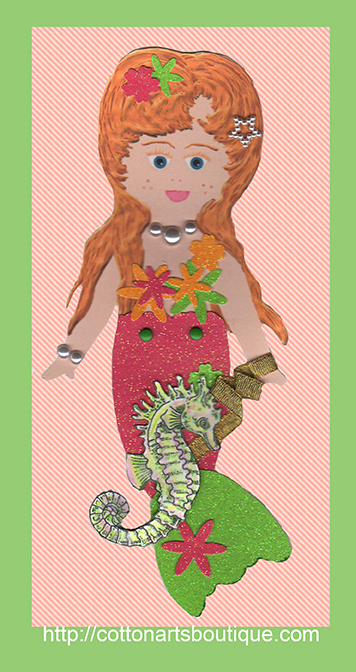 She whispered in my ear that she wanted to be both a Mixed Media doll and a paper doll so here she is. This is the mixed media doll. Her little fin on the end of her tail has a brad so she can swim just about anywhere she wants to go and Bubbles, her trusted side kick goes with her. 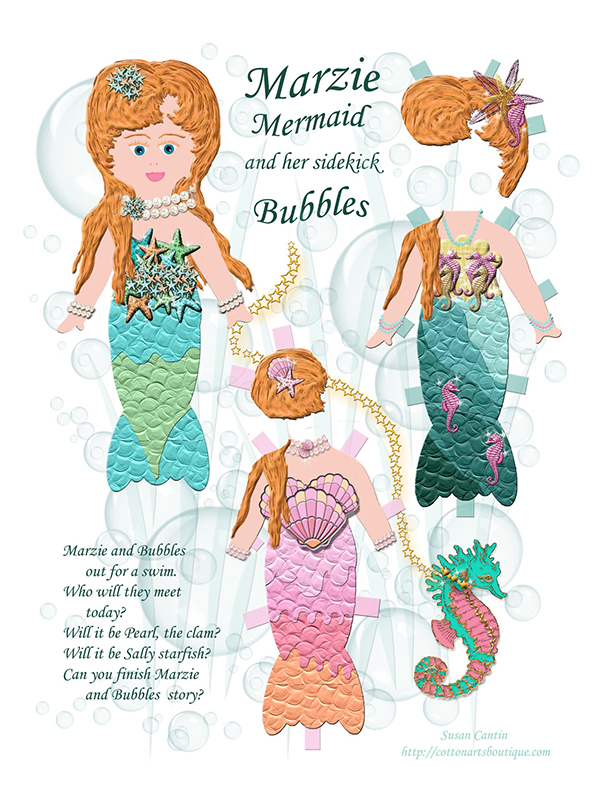 Marzie and Bubbles would love to play with your young daughter or granddaughter. She needs her story finished with summer fun. She would love to swim your way. 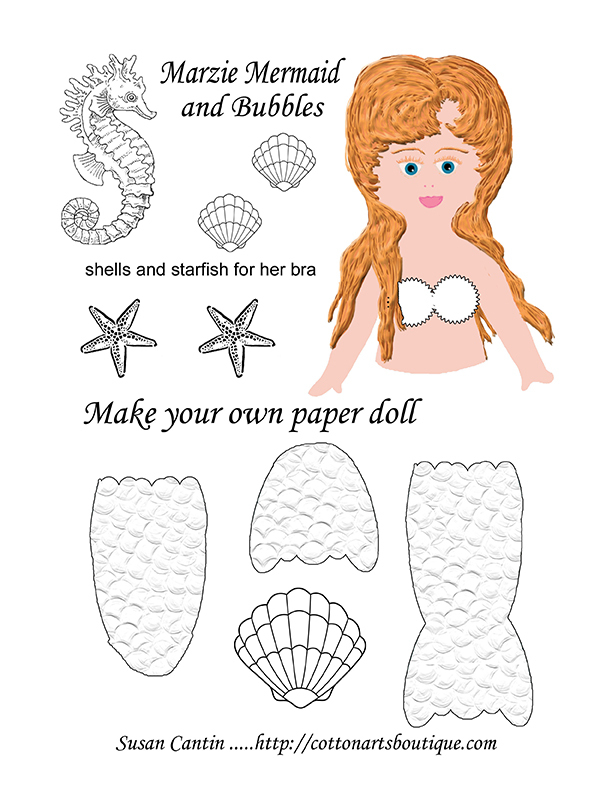 If your young girl is an artist she can create her own little Mermaid and Bubbles. Imagine the adventures they could have during those rainy days with nothing to do.